Heat a dry pan, add curry leaves, toss it, until it turns crispy. Take it aside, add toor dal and fry to golden. Take it aside and add pepper, cumin seeds and red chilly. Fry it in medium flame with continous stirring. Once it fragrant, add coriander seeds and fry it. Simmer the flame, and roast it for few more minutes. Remove from heat, allow the contents to cool. 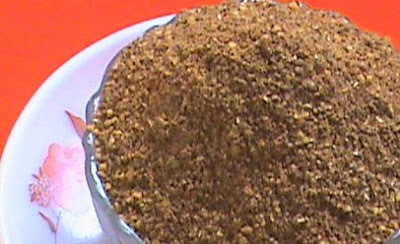 Mix all the ingredients, and grind in mixer to coarse pwd. 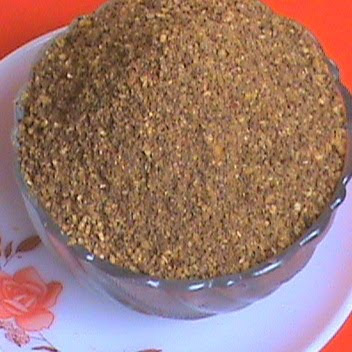 Allow the Rasam Powder to cool and transfer to a air tight container. This can be stored and used even for months. 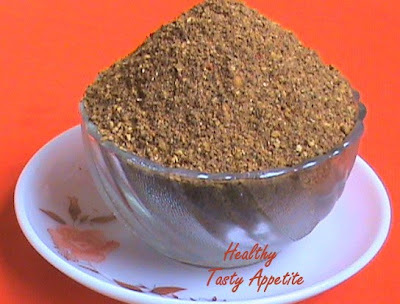 Mmmmm….Hot and spicy Rasam pwd ready to delight your taste buds…!